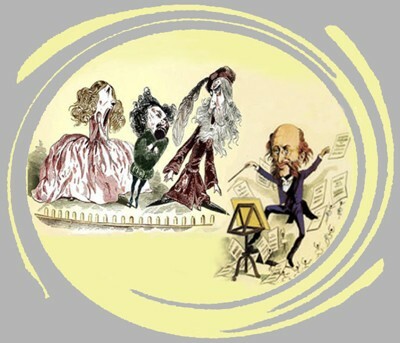 The great city is omnipresent: even when two brief plays in one act by Offenbach are enclosed within the four walls of an apartment, outside Parisian life seems to be throbbing, pushing open the doors and filling the stage. Whether marked by the inflated pride of the upper middle class or by the ingenuous sentimentalism of young lovers, his characters expose themselves to the benevolent smile of the audience. And in their distorted absurdity his plots, even in the most domestic of settings, always involve a sprinkling of social satire. Let us begin with Monsieur Choufleuri, the second work you’ll be seeing this evening, although it was completed before the first work in the programme. 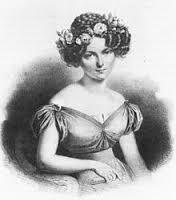 It was performed at the Bouffes-Parisiens in 1861, when the composer was enjoying his happiest years, and is doubly linked to Parisian life, not least through the identity of its improbable librettist. Hidden behind the pseudonym of Monsieur de St-Rémy lies the only “literary work” of the Duc de Morny, son of Hortense de Beauharnais and the Comte de Flahaut, himself the natural son of Talleyrand. The Bâtard Royal, half brother to the emperor, was an industrialist, at first deputy, then president, of the Corps Législatif, Ambassador to Russia, womanizer, and corrupt businessman without scruples who became immensely rich by selling land that was to be reused for the boulevards. He was also a close friend of Offenbach’s and a typical product of Paris at that time. Morny offered Offenbach a slice of Louis-Philippe’s Paris that was not very different from the Paris of Napoléon III twenty years later. These references to the temporal setting are indispensable. Three stars of the Italian opera of the 1830’s are expected to turn up at Monsieur Choufleuri’s: Henriette Sontag, Giovanni Battista Rubini and Antonio Tamburini. 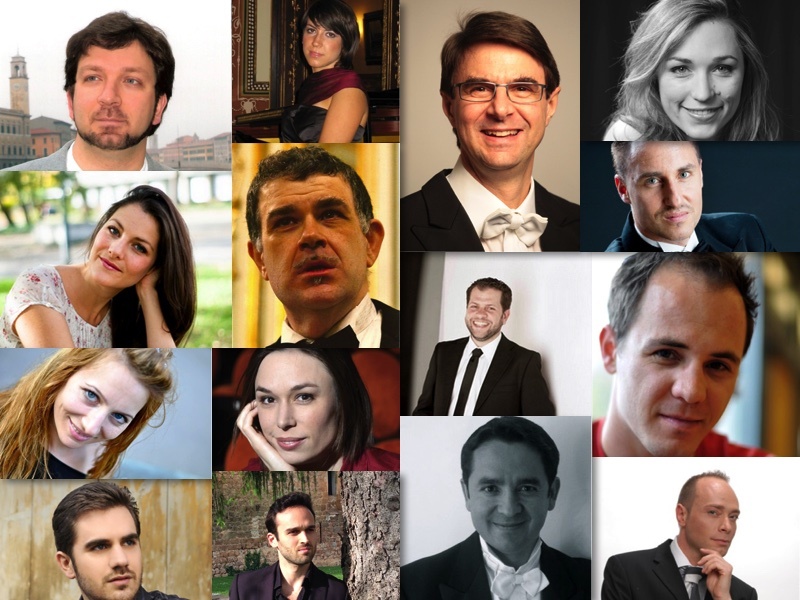 They are the singers about whom all of Paris goes wild, performers cherished by Bellini and Donizetti. The idea that they will be in his home is a sign of social advancement for Choufleuri, an ignorant parvenu. The three stars obviously haven’t the slightest intention of turning up, and the poor master of the house is forced to pretend that he is Tamburini. To do this he needs the help of his daughter and her suitor, whom he dislikes but who has acquired some knowledge of music in the course of his studies towards becoming a composer. The resulting “Italian Trio,” at the heart of the work, parodies the most banal commonplaces of romantic Italian opera: she and he want to marry and an implacable father stands in the way of their wish. Sung in absurd Italian, full of belcanto quotations alternating between I puritani and Lucia di Lammermoor, this trio is the distorted mirror image of the situation in the Choufleuri household. So much so that, in the middle of his cadenza, the ���crudele padre” loses control and explodes (in perfect French) in a self-righteous bourgeois invective against untrustworthy, idle artists: Les pères de famille devraient maudire leurs filles quand elles veulent épouser des hommes de lettres ou d’autres musiciens (“Fathers should curse their daughters who want to marry men of letters or other musicians”)!The characters promptly move in and out ofthe fiction of this fictive Italian trio inserted within the fiction of a feeble vaudeville plot: Chinese boxes nested within each other, continually affording changes of level and of dramaturgic rhythm. On a musical level, it is Rossini’s well-known game of reducing the characters to musical machines: Choufleuri, who has no command of Italian, has no option but to repeat bim-boum. But listening to the cabaletta à la Donizetti, with which the trio ends, don’t we hear it turning into one of those exhilarating gallops that had characterized the most exuberant moments in every work of Offenbach’s, ever since the cancan of his Orphée aux enfers? If in Rossini’s work this theatrical game was set in motion once and for all, we are here in presence of a perpetual un- and re-masking, a continual alternation between moving ahead and turning back that makes one Dizzy. And what should we think of the Parisians who, living up to their reputation, barge in singing Le plaisir nous invite, la fête nous sourit and hailing Choufleuri as protecteur des arts? Of course they know nothing at all about music and enthusiastically swallow whatever people want them to believe. And, without knowing it, Choufleuri has become the manipulator of public opinion. It was so easy. All that was needed was to prevent Babylas from revealing the deception.Choufleuri buys his silence by agreeing to his marriage with Ernestine. No sacrifice is too great if it allows one to climb a rung in the social ladder! And what about love? Of course it’s there, but even the young sentimental lovers recede behind the work’s abrasive irony. A clumsy bassoon serves as the lovers’ secret signal and the enamoured lady’s sigh takes the shape of wordplay: Cher Babylas, hélas! There is no pleasure greater than that of poking fun at oneself! Who’s who? 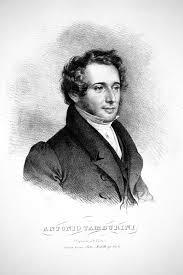 Antonio Tamburini (1800-1876), bass baritone from Emilia, agile and homogeneous of voice, greatly in demand both in the bouffe repertoire and in the opera seria. He is said to have been very handsome and an excellent actor. 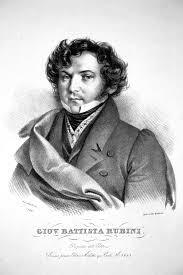 It was for him that Bellini wrote the rôles of Ernesto in Il pirata, Valdeburgo in La Straniera, Riccardo in I Puritani (Paris, 1835); for Donizetti he created L’aio nell’imbarazzo and the rôle of Malatesta in Don Pasquale (also in Paris, 1843).